The First Layer: 3D Printed Shift Knob with Encapsulated Hardware | Makeit, Inc.
Hello readers and MAKEiT owners, and welcome to to the first installment of The First Layer, MAKEiT’s blog section devoted to advanced printing and design-for-print techniques. 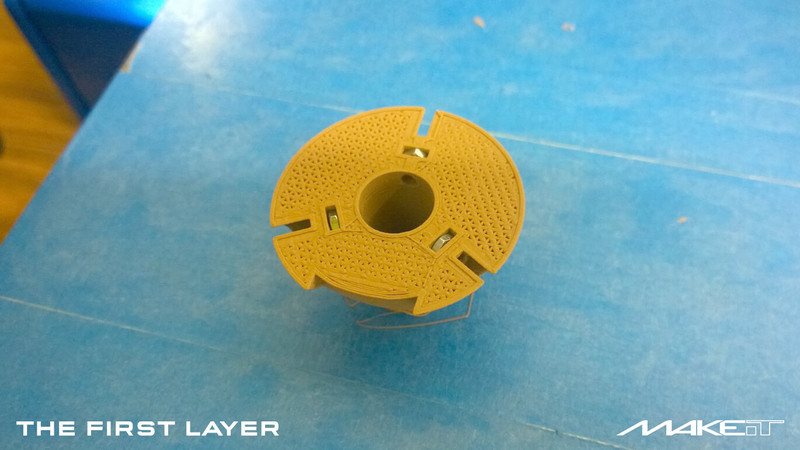 From the desk of our design director Russell Singer, The First Layer will be your new source for tips and techniques to take your 3D printing ability further. 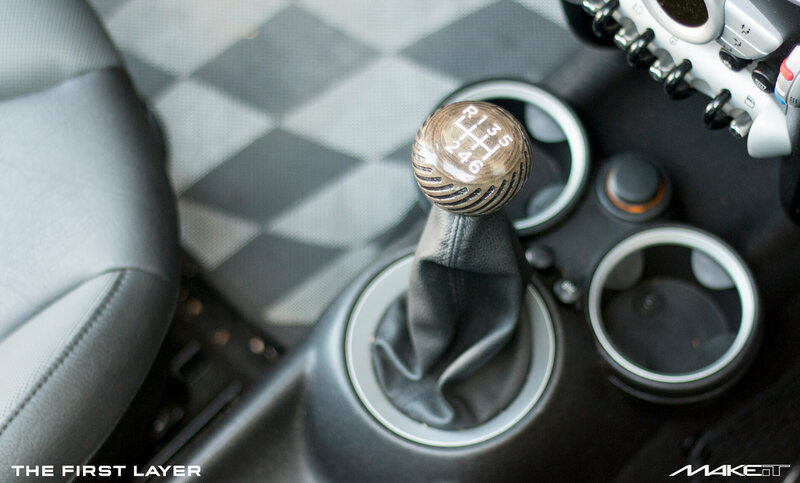 In today’s post I’m revisiting a project I completed a few weeks back: creating a realistic wood finish for the manual transmission shift knob of my Mini Cooper. 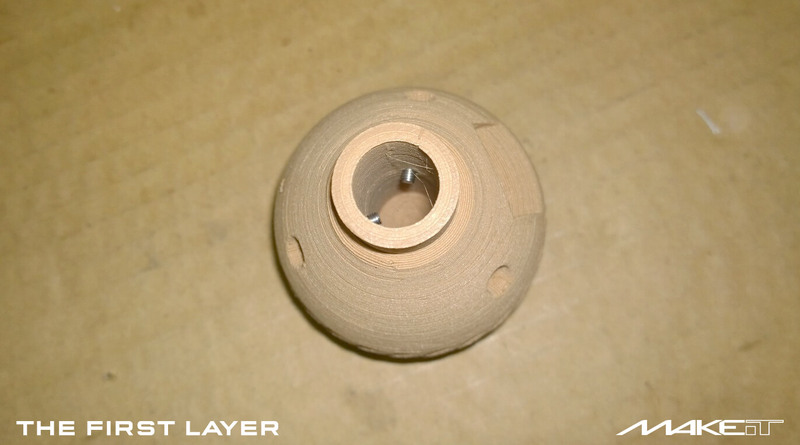 Because the shift knob is a regular point of tactile interaction it was important to achieve not only a high quality finish that would appear as wood, but also a comfortable form with enjoyable tactile feedback and functional usability. In this first post I’ll focus on the CAD considerations and the printing process, follow along on the second post for the full finishing technique to achieve the beautiful effect shown below. This requires stopping the print part way through, quickly inserting the three hex nuts by hand, and resuming the print. 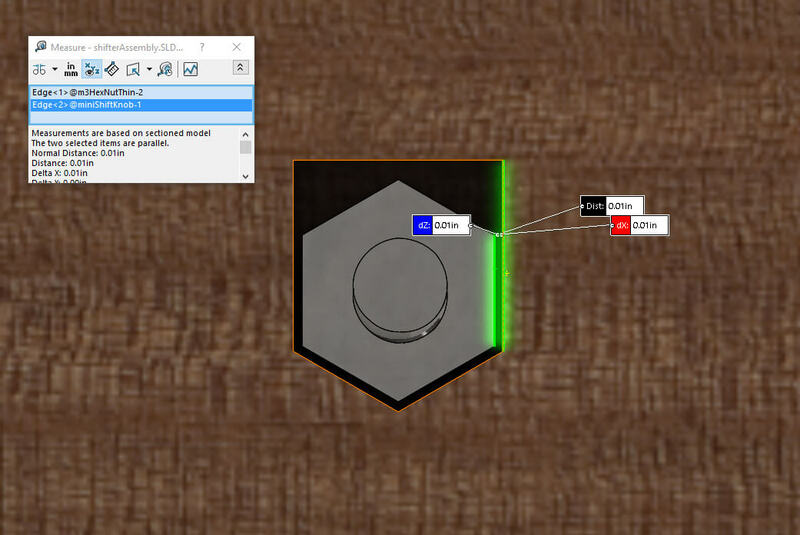 Although there are plugins for slicing software that can program this sort of pause, such at PauseAtZ or TweakAtZ in Cura, I chose to go the manual route. 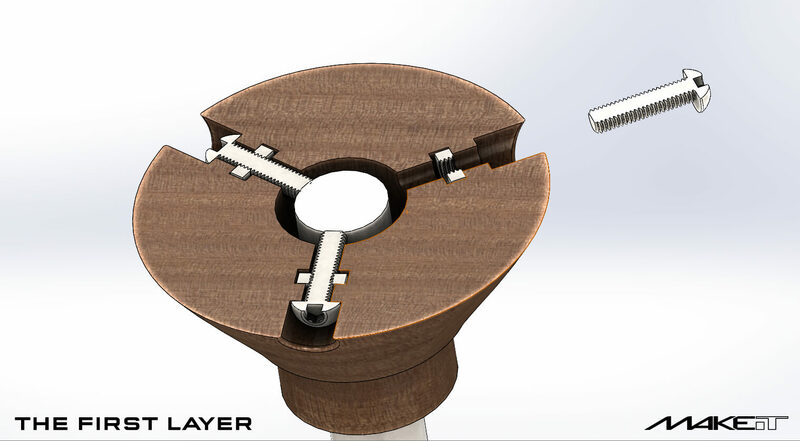 In SolidWorks I measured from the bottom of the knob to the top of the cavity and made a note of that height. If you don’t go the software plugin route, periodically check your printer’s display for current Z-height and be ready to pause it in the right range. Above you can see the shape of the cavity allows plenty of clearance for the print nozzle to avoid contacting the hardware once inserted. The extra space also gives more of a window to hit pause in case I didn’t get back exactly on time. I left the tolerances in the other direction a little larger than necessary so I could insert the hex nuts quickly and minimize the amount of time paused. Below is the paused print showing how the hex nuts get inserted. After removing the part from the bed I threaded three button head cap screws into place, as shown below. You can see the print quality on the part at this point is not as fine as you might like it in a car, but the roughness is actually part of the finishing process and done intentionally. In the next post I’ll explain the full technique used to get this type of beautiful wood finish shown below. 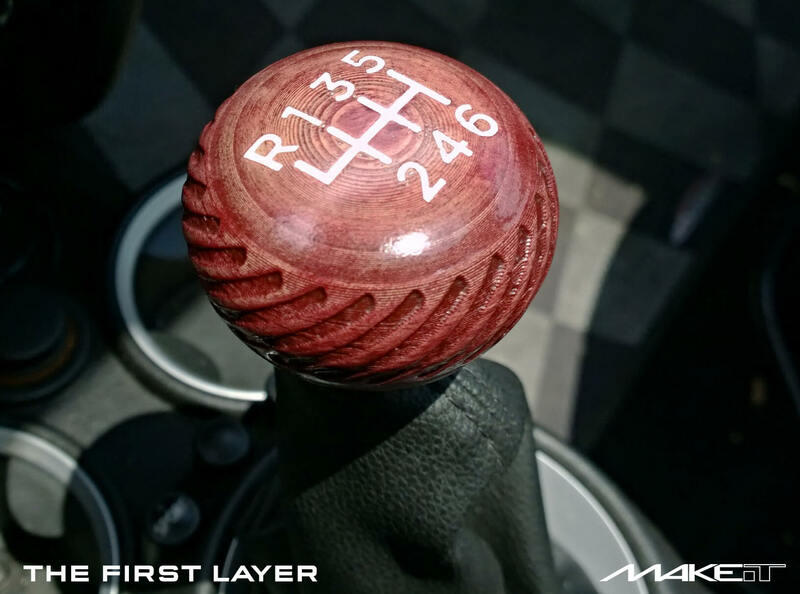 Pingback: The First Layer: 3D Printed Shift Knob Wood Finishing Technique | Makeit, Inc.